Nothing made me sadder to see the original The Caligula Effect bomb in the west. It was always going to, of course, as a Vita-exclusive uber-niche JRPG, but I wanted Atlus to be rewarded for its efforts. 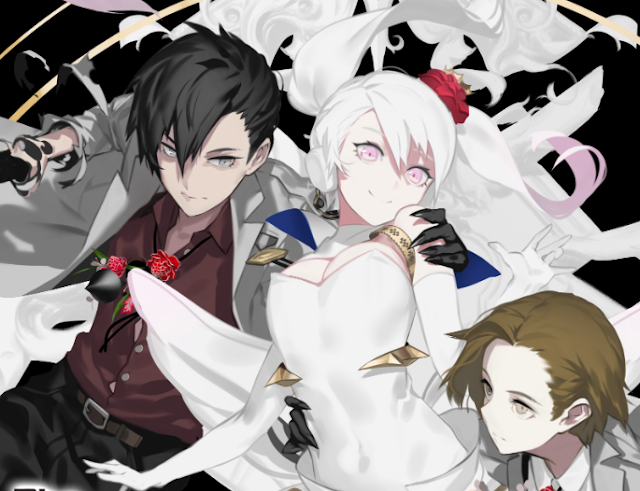 Sadly that was not to be, and Atlus turned down the opportunity to localise the PlayStation 4 remaster of The Caligula Effect, The Caligula Effect Overdose. Thankfully for us all, NISA stepped in, and for anyone who missed the original, wow are you in for something special. The Caligula Effect is a bit like Persona 4, only smarter (and that's saying a lot, since Persona 4 is literature-worthy). It has a unique combat system that has to be played to be understood, somehow managing to be both turn-based and reliant on precise timing, and the plot is so dense with philosophy that you'll be left thinking about this one for long after you finish it. And the music! OH THE MUSIC! The Caligula Effect takes place in a virtual world formed by the music of Hatsune Miku... I mean μ (Mu) (who is totally modelled on Miku), who has taken sentience and has taken it on herself to remove pain from the world by using her music to effectively brainwash everyone. You play as a small group of woke people who want to escape the delusion back to reality, and so the game is filled with the most amazing music, much of it produced by well-known vocaloid producers, representing the battle that your group has in a world comprised of music. NISA is targeting a 2019 release for this game, which is fine, I guess. I can wait. It'll be coming to PlayStation 4, as mentioned above, and also the Nintendo Switch and PC. I'm probably going to buy it on all three platforms just to support the game. Dear God I love The Caligula Effect.